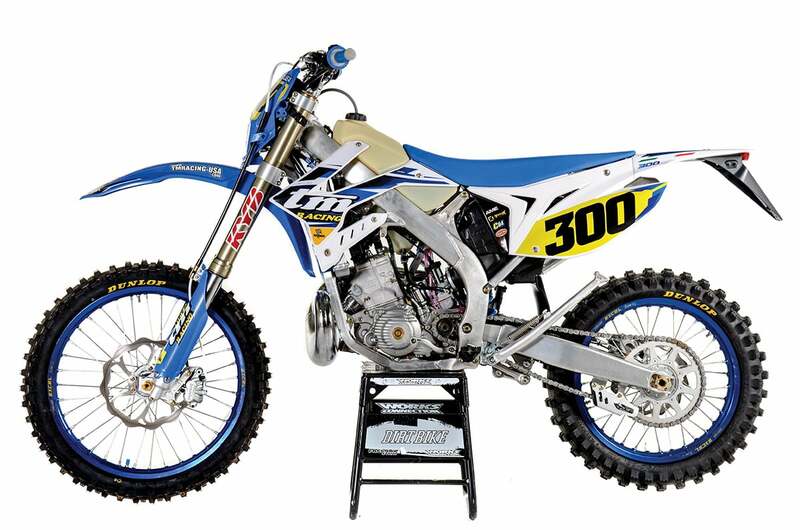 The 300 two-stroke category is growing each year. TM is a small company out of Pesaro, Itlay that has a big influence in the off-road world. 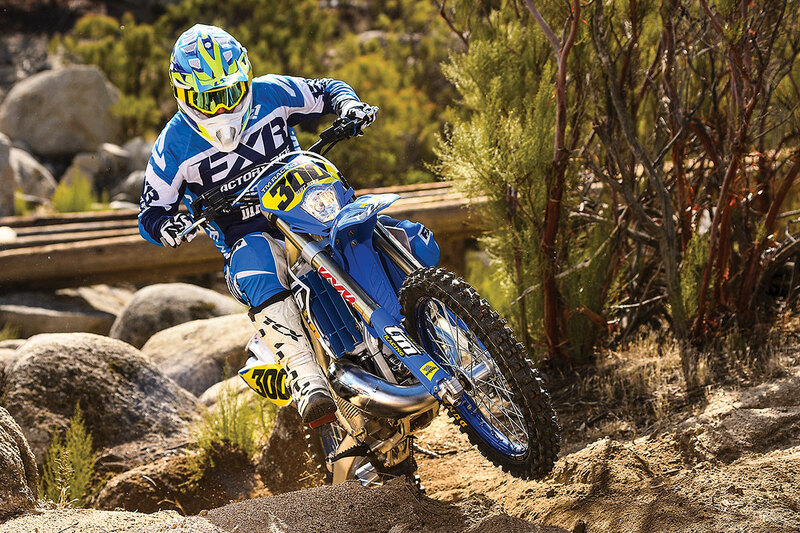 Not only has TM captured world Enduro GP championships, but the company is on the leading edge of two-stroke development. The 300 featured in this episode of the Off-Road Premix video series is a perfect example. It has an electronic powervalve, a counterbalancer and will soon be available with fuel injection. The TM is an interesting combination of old-school thinking and cutting-edge technology. 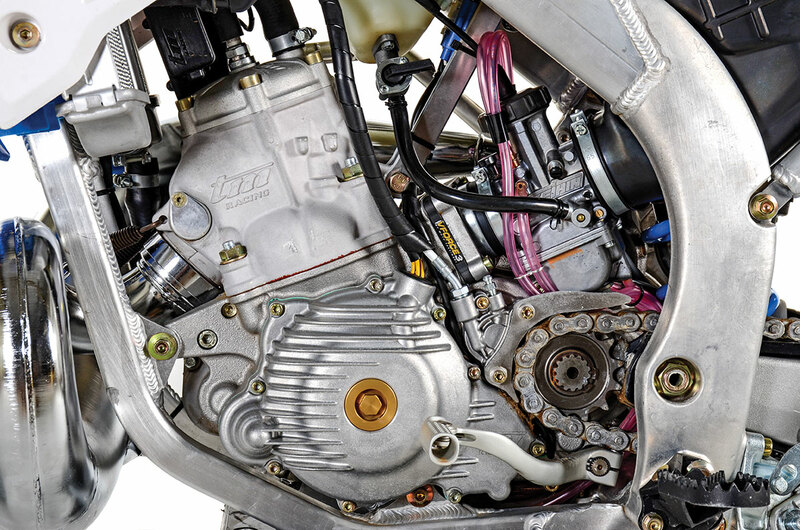 In the U.S., the bikes are regarded as highly specialized and off-beat, even though the company is a major player in all European forms of motorcycle racing. The company’s most popular bikes over here have always been two-strokes, primarily the 85cc motocrosser and the 300cc enduro bike. Until now, though, the 300 has been a little old-fashioned, meaning it didn’t have electric start. For 2019, that’s changed. The bike has a new motor, complete with an electric starter that is well hidden in front of the motor. It’s powered by a lithium battery, and there is still a manual kickstarter. The cylinder is new. The cases are new, and the five-speed transmission is new. It now has a counterbalancer, which turns out to be a very big deal in the two-stroke world. Who knew? TM’s new 300 two-stroke has electric start and weighs about the same as the previous kickstart-only version. 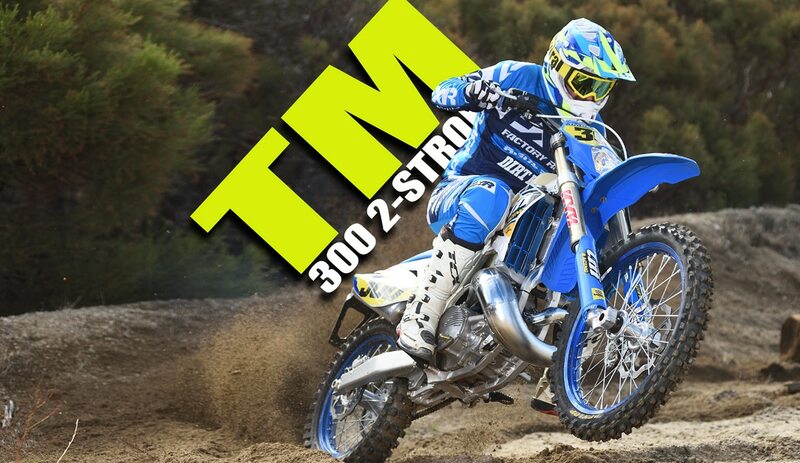 The TM 300 already had an electric power valve, an aluminum frame, a KYB fork, and a shock made in-house at TM. The front brake is a Brembo and the rear is a Nissin. A Keihin carb feeds a V-Force3 reed, and an HGS pipe handles the exhaust. 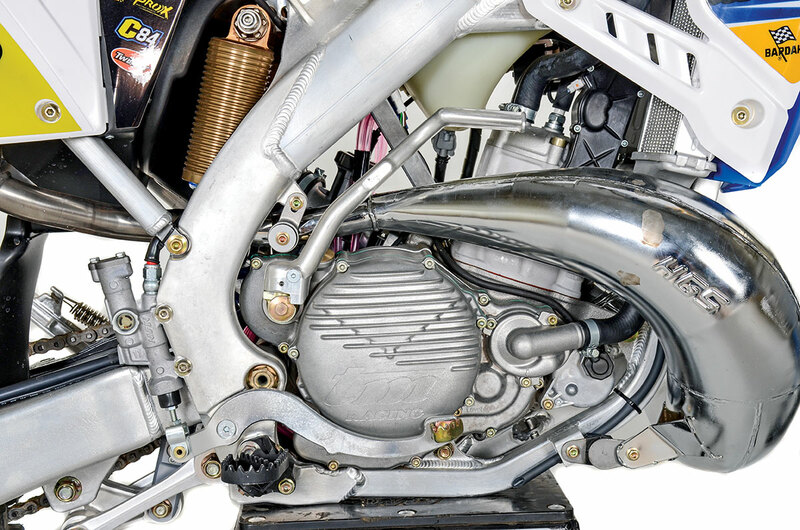 The clutch is hydraulic, and all of the components are top-shelf items from companies like Takasago and Twin Air. Most of the components are mainstream. Companies like KYB, Brembo, Moto Tassinari and Nissin have all contributed to make the TM what it is. Usually with companies this small, you expect a certain amount of garage engineering. That’s not the case here. The TM is refined and well finished, as if it rolled off a big corporate assembly line, yet it still has handcrafted welds and that sandcast look of a works bike. As much as we love the fact that it finally has electric start, it’s the counterbalancer that’s the single biggest step forward. The engine doesn’t vibrate, and that, more than anything else, contributes to the feeling of refinement. The power delivery is what you would expect from a 300cc off-road two-stroke, which means that it’s smooth and almost unstallable at low rpm. In the middle, it’s easily as powerful as a KTM or Husqvarna, and it makes a little more than either of those on top. It will, of course, flatten out early compared to a modern four-stroke. That’s what you would expect of a two-stroke, but the TM does a lot of work before it signs off. It also has nearly flawless jetting. Our bike was delivered with a tank of race gas, which is what TM recommends. As we rode it, we mixed in pump gas without any ill effects. We wouldn’t want to go 100-percent pump gas without rejetting, though. Possibly the most amazing single aspect of the TM is its weight. On the Dirt Bike scale with all fluids except fuel, it weighs 225 pounds. That makes it lighter than any 300 we’ve tested aside from the KTM. On the trail, that fact is perfectly clear. It’s a very easy bike to manage. We had only a short time to ride the TM 300EN. In that period, we didn’t have time to experiment with the suspension. Up front, the fork shouldn’t hold many surprises. It’s a KYB, and you can’t get more mainstream than that. As for the rear, however, we came away wanting more time to learn what we were dealing with. The TM-made shock is foreign to us, and it felt harsh on typical off-road terrain. We’ll have more TM time in the near future. The fuel-injected version is on the way, and we will do a direct comparison between the two models. Stay tuned.